The 500GB Samsung 860 EVO is available on Amazon for under $70. One of our favorite solid state drives is available at a great price today. 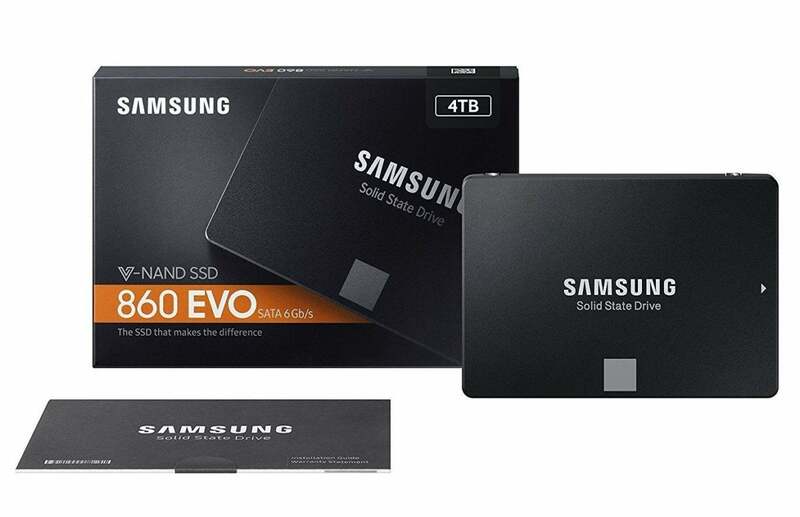 Amazon is selling the 500GB Samsung 860 EVO for $68.40, after you clip a 5 percent off coupon just below the price on the product page. Ostensibly a $110 SSD, the historic all-time low for this drive on Amazon was $71 and the current price is $72. Any way you slice it, this is a great cost for a great drive. Today’s deal is for the standard 2.5-inch form-factor version of the Samsung 860 EVO. There is an M.2 version as well, but at this writing it was much more expensive at $98. Both the 2.5-inch and M.2 versions use a SATA III interface. We named the Samsung 860 EVO the best SSD for most people in our best SSDs round-up. As of October, it was the fastest triple-layer cell SATA drive we’d tested. Plus it was one of only a few TLC NAND drives that maintains write performance for large copy jobs. Add the affordable pricing to the admirable performance, and you’ve got an SSD that’s hard to beat for bumping up the laptop’s performance without spending too much.